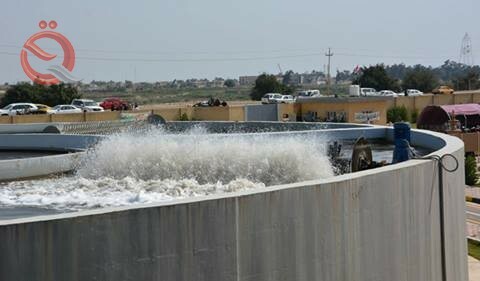 Oil Minister Jabbar al-Luaibi announced on Wednesday the rehabilitation of four desalination projects in Basra, adding that the ministry agreed with the Italian company ENI to implement a project to raise the pollution in the water station. "The ministry has agreed with the Italian company Eni to implement a desalination project in the water station that contributes to the raising of salinity, harmful substances and pollutants in order to pump drinking water to the citizens and all the beneficiaries of that station," al-Allaibi said in a statement received by the Economist News. "He said. He added that "the period of completion of the work takes four months, noting that" the condition of the executing company commitment to the timing of the implementation period, "pointing out that" will be water purification and sterilization in accordance with the most accurate health conditions and approved standards. " Al-Allaibi said that "the ministry will also coordinate with the Ministry of Industry and Minerals to implement another project, the national effort to extend two pipes to the station Bardaiha and find outlets for the discharge of sewage water outside the waters of the Shatt al-Arab," adding that "the first pipeline extends from the Qurnah and the second extends from the station bid'ah." The minister instructed "national companies specialized in the maintenance and comprehensive rehabilitation of pumps and filters at Abu Al Khasib water station, as well as extending two pipelines, the first of two manual stations and the other of the Shatt al-Arab in order to enhance the water supply of the Abu Al-Khasib station," noting that "this campaign will be followed up and supervised And will be implemented in the coming days, and we plan to achieve a record period. " Laibi said, "The period given to the US company is four months, "He said.